Hands up if you like a good bargain!! I always look out for deals and will rarely buy anything full price unless I am super desperate. Even if I don't get an actual discount at least I know I can get loyalty points. For a long time, I never realised that Boots had a clearance section which is such an amazing place to get good deals. I only discovered this treasure hunt two years ago after more than five years of shopping in Boots. Yeah I know right, can you believe I was so blind for a long time? Well to be fair, I don't think they have the Boots Clearance Section in all Boots stores but they are usually available in the slightly larger Boots stores. They are also well hidden which I don't quite understand. Hello Boots, do you not want people to find it? Seriously, I am always baffled at the hidden places they manage to leave the Boots Clearance. I can't even remember how on earth I stumbled upon it but I think I was just wandering around aimlessly and I spied it. I was like Wow!! They actually have such amazing deals in there and I have not looked back ever since. Now, I always look out for the Clearance section before I even attempt to buy anything in Boots and I am rarely disappointed. Are they available in all Boots? As I mentioned earlier, they are not available in all Boots but you would more often than not find them in the slightly larger Boots. You would also usually find them in Boots around residential areas although I know you can find them in some Boots near Train Stations. You won't find them in the Boots in Bond Street and Oxford Street or may be I have not yet found where they are hidden in these stores. I live in South West London and the three Boots close to me and my office have an amazing clearance section. I am of the opinion that there seems to be more Boots Clearance sections in South West London. I never found them in the Boots in Manchester but then I did not know about them so maybe they are hidden in a corner you would not expect. What area in Boots can I find them? I already mentioned how much of an effort they put in hiding these clearance sections. It is not in the places you would expect. They also keep changing its location which is a game I am beginning to enjoy. One thing for sure is that they are never in the same place. You won't find them in front of the store for sure but you will find them behind the store like at the rear of the store. It is sometimes close to the Baby section so keep an eye out in that section. In the Boots close to me, they hide them near the Baby section and near the hair dryers and electrical devices. It is usually a small stand with a red clearance sign on it. Sometimes, it is not very clear but you would see the products with a sticky red label on them. Is the Boots Clearance available all year? I would like to think so but I don't think you would find them easily during Christmas season. I have checked my usual Boots stores and they are nowhere to be seen. I think they are only available during regular times of the year. However, I find that they come back in full force just after a Season (like Christmas, Easter, Summer, etc) so look out for them Jan/February because they would be looking to get rid of all the seasonal gift items which they did not sell. 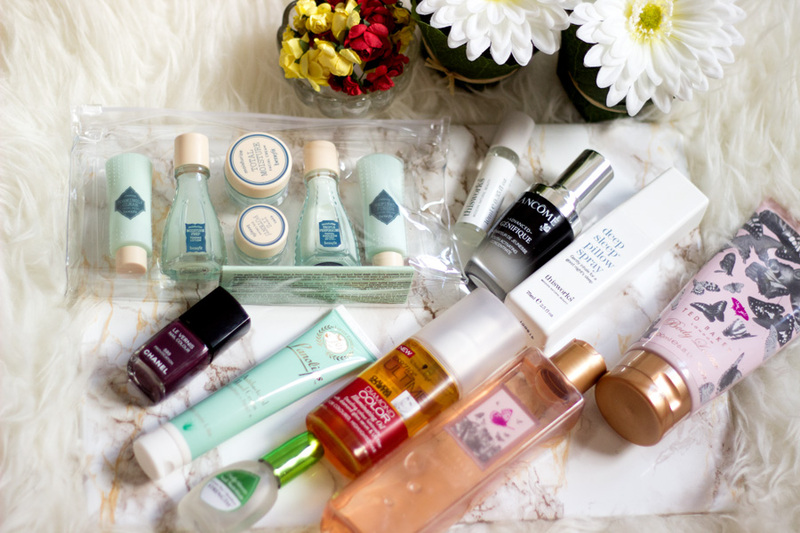 You can also check around September/October which is when I got some of my favourite picks which I am sharing below today. 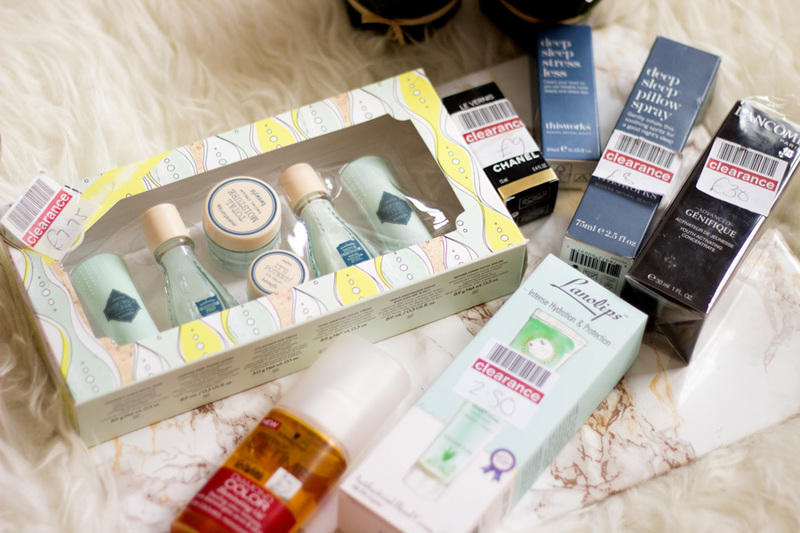 What can I expect to find in Boots Clearance? OMG, the possibilities in there are endless. There is no set answer to this at all and there is no limit to what you can expect to find. You can find anything in this section and I have lost count on all the gems I have purchased. They usually have an abundance of hair products which does not quite interest me because I don't think they are all suitable for my hair type. However, I scored some John Frieda Hair Serum which I love for only £1 and I bought a lot. 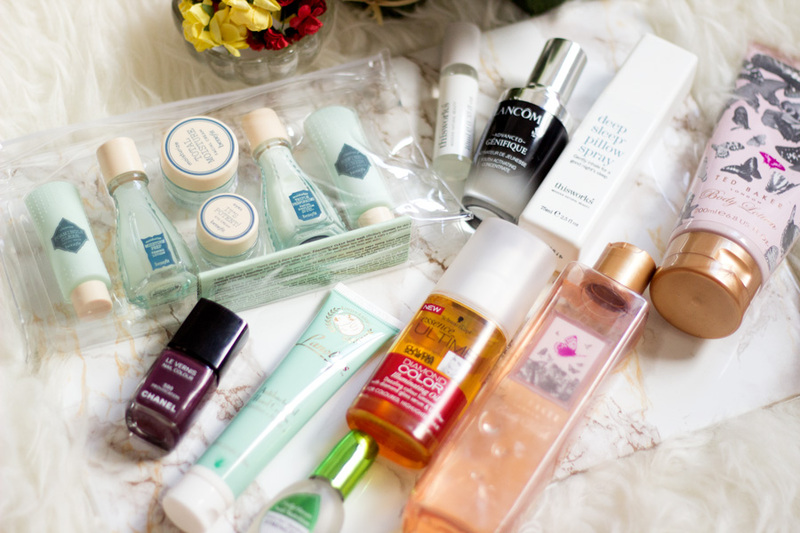 You can find skincare products (including high end and drug store), hair care, makeup (high end and drug store), stationery, perfumes, baby products, electronics, phone covers, etc. Honestly, the list is endless. You may not always find something that would blow your mind but I have always found a deal that makes me go Wow!! The prices are usually at least 50% discount and many times I have seen at least 75% discounted products. What condition are the products in Boot Clearance? They are always in really good condition. I have no idea why they are even there in the first place but I am guessing they just need to clear their stock. They are not expired at all because I always check before I purchase anything that I would use on my body. The worst case is a smashed outer packaging and that's pretty much it. I always take my time and pick out the products that are in their best condition. I remember buying some hand wipes in this section which smelt funky but I think that's the only dodgy experience I have had so far. I also need to mention that you can't return any items you buy from the Boots Clearance section which is not unheard of so you need to be sure before you buy. What have I purchased from Boots Clearance? A whole lot!!!! I already mentioned that I discovered the Boots Clearance section two years ago so you can imagine how much I have!! The cheapest product I have purchased is a Boots Body Spray for 50p which is incredible and it was even on a deal for 3 for 2. It was insane and I still use it because it smells so lovely and refreshing. I thought I would share my latest purchases which I picked up in the past three months. 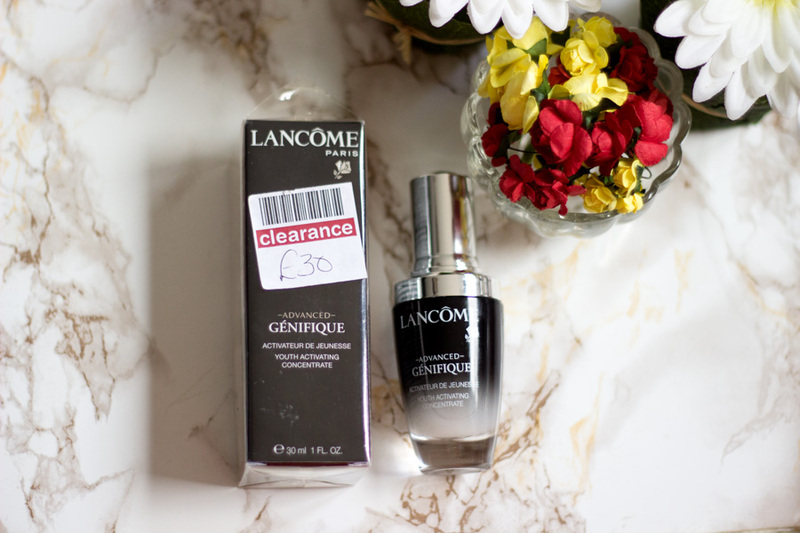 My best purchase is the Lancome Advanced Genifique Serum (30 ml) which I purchased for £30 (the most expensive I have ever paid for any product from Boots Clearance) when the full price is £59. The outer packaging was a little damaged but it was still sealed so was in amazing condition. 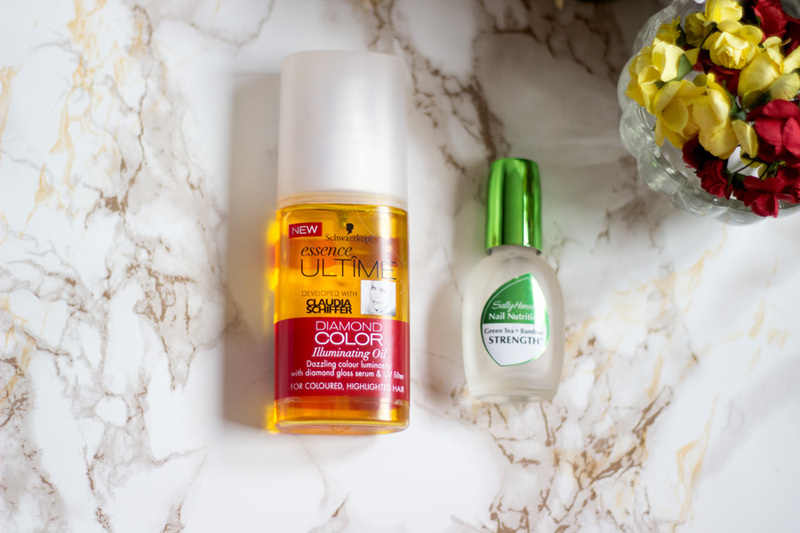 The product in itself was perfect and I have been enjoying using it. 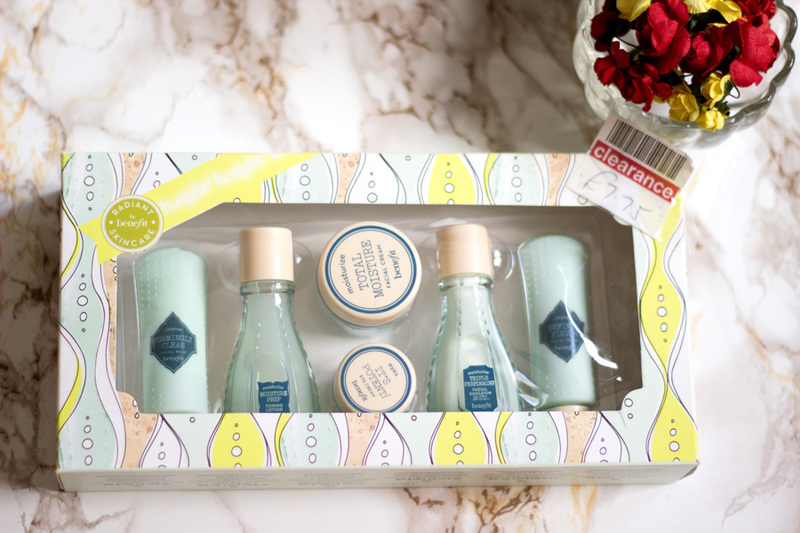 I also scored the Benefit Radiance Skincare Set for £7.75 (RRP £15-£22). 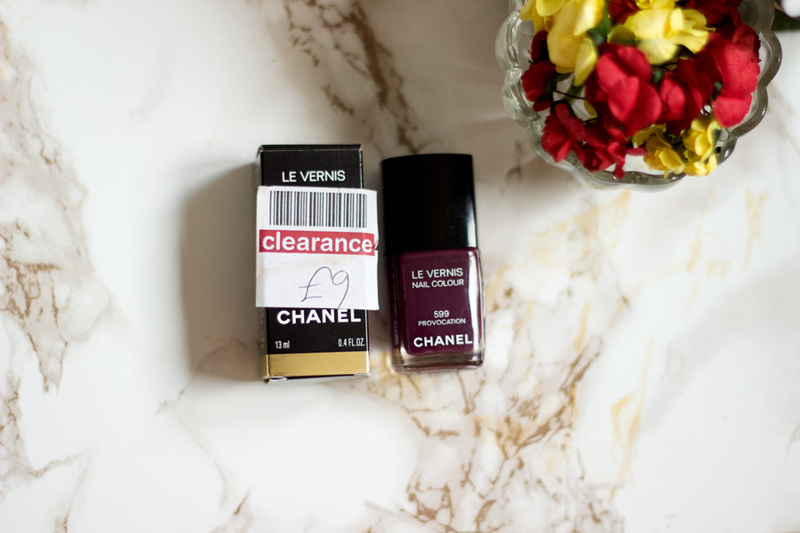 I even purchased my first Chanel Nail Polish for £9 when it retails for £18. I am always pleased with my purchases and many times I just use my Boots loyalty points to pay for them. Good find! I didn't even know Boots did this, must go and check out my local store. I did find a clearance section in my local Superdrug and managed to snag some hair serum for the princely sum of 40p. 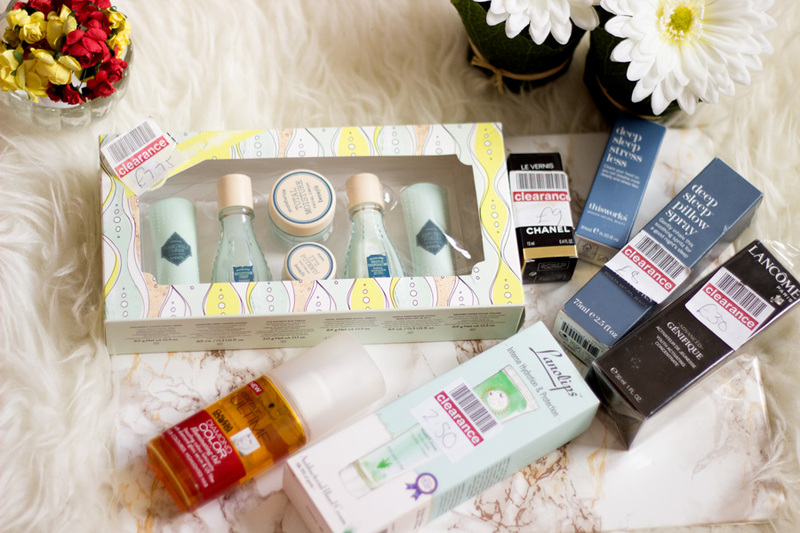 I want to try that Benefit skincare set but I can't find it anywhere!